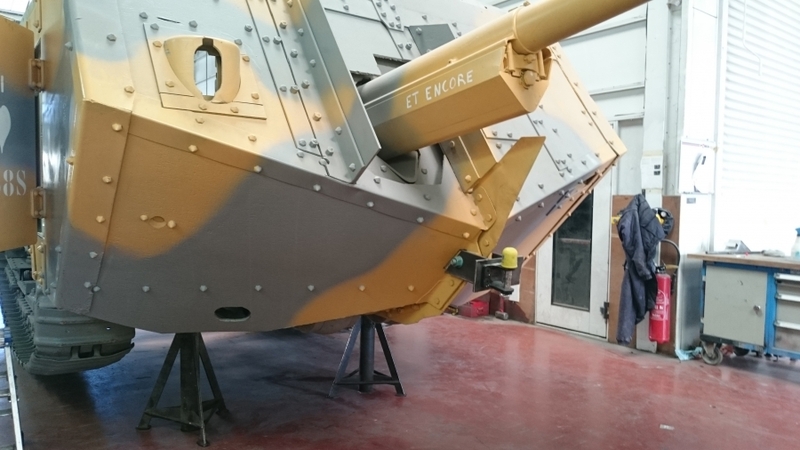 The museum has decided to re-motorize the St Chamond tank so that it can be presented regularly to the public. After studying the different technical possibilities, the associated costs and delays, the principle of a motorization by a modern themo-electric system has been retained. 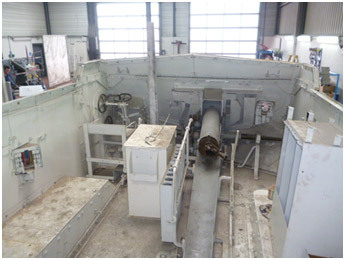 This propulsion system consists of a generator set and two electric motors driven by inverters. This configuration makes it possible to respect the original propulsion principle. The initial power-to-weight ratio will also be respected. The remotorization is designed to be completely reversible and without impact on the centenary plates. The original elements have been carefully photographed, disassembled and packaged. They can be exposed alongside the tank in order to safeguard the industrial heritage. These provisions make it possible, in the future, a return even more faithful to the original. A sub-working group, led by the scientific council of the AAMB and assisted by recognized experts in the field, carries out the historical research to find the camouflage as faithful as possible to the original. This group works in connection with the general planning of the project and reports to the Museum. After reviewing the various commercial offers, the contract was entrusted AFTER INDUSTRIES (Project management). As part of this project, she is associated with NEXTER and SOGEMO (Mercedes Dealer). These companies are located near Roanne in the Loire department (42). The roles are as follows: AFRRES is in charge of project management (project management) and engineering studies; NEXTER brings, as patron, support in engineering, in project management and will lend its facilities and personnel for the tests. Finally, SOGEMO hosts the vehicle and, thanks to its technical skills and installations, will carry out the disassembly operations of the old engine and reassembly of the future engine. 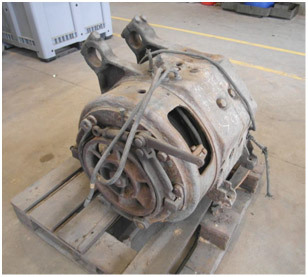 As a reminder, the AAMB is responsible for the Project Management and reports to the Museum which is the owner of the vehicle. Mr ROUX (SOGEMO, agency director); Mr GAYA (APRRES, Charge d'Affaires); Mr ROY (SOGEMO workshop leader); in the Col tank. 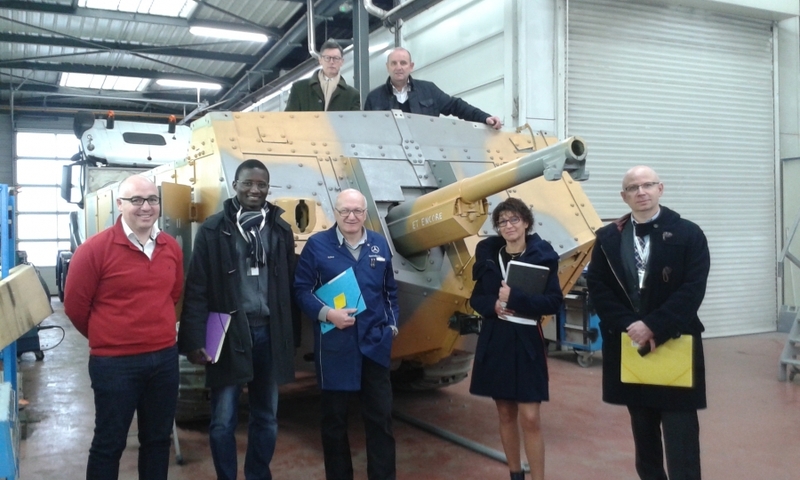 BERG (NEXTER, Dpt relations); in the tank Mr FAYET (NEXTER, project manager); Mr. HARLEZ (APRRES, PdG); Mr. ROCHE (NEXTER, Communications); Mr CALLEGARI (representing the AAMB). The tank, emptied of its GMP, was installed, temporarily, on candles to allow examination of the components of the undercarriage. It appears that the undercarriage is in good general condition. 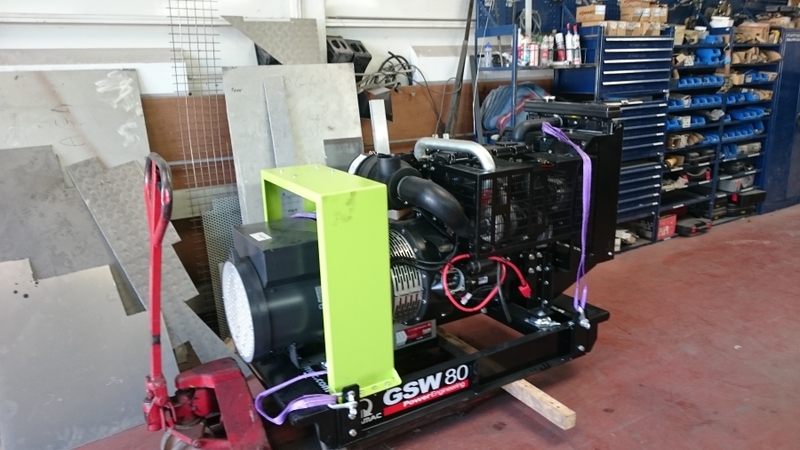 The Pramac generator set of 80kW, to this assembly will be necessary to add a tank of fuel and to envisage the ventilation and the exhaust. The new engine : One of the two electric brushless motors of 30kW, to note that the new engines are much more compact than the old ones. There is an important engineering work to provide to integrate the modern equipment, shown above, into a century-old structure. It should not be denatured or damaged, therefore it is important to remember that no drilling or welding on the plates or in the original framework is tolerated. 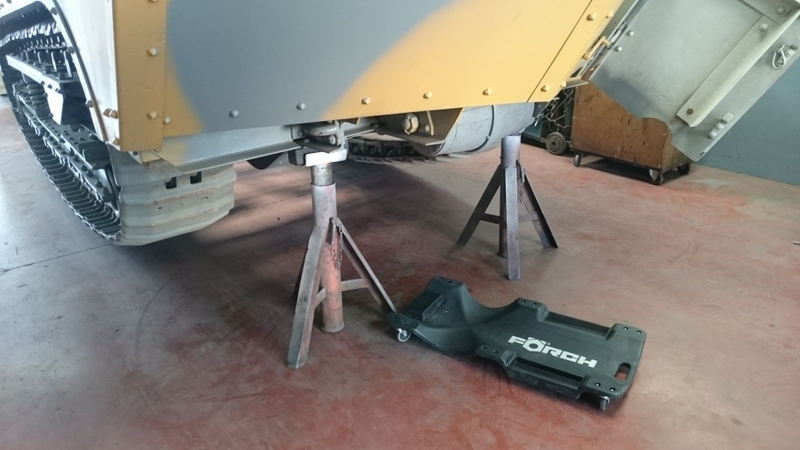 Efforts transmitted to the structure by the new powertrain must strike the right balance between the mobility of a 24 tonne machine and the preservation of the centenary undercarriage. The vibrations and weight of the new installation must be contained so as not to compromise the centenary structure. And of course the new motorization must respect in all points the legislation in force in terms of safety of operators and spectators. As such, the design and implementation of the remotorization will be certified by a specialized body.